The Wheels on the Bus... - AM/PM Insurance Agency, Inc.
🚸 Some of our children are taking the bus to school for the first time this year. They're growing up so fast and we just wanted to share a few bus safety tips before your precious cargo heads off to school this year. Here is how you can get prepared for this new chapter together. 1. 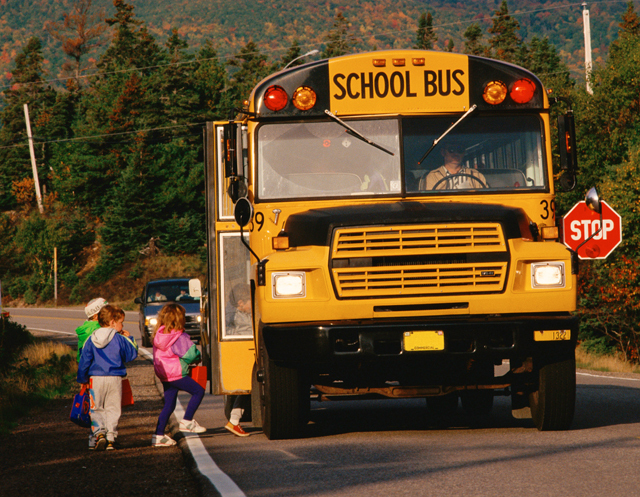 Find out if your school offers a practice run on the bus. This is a great way to introduce yourself and your child to their bus driver. 2. When waiting for the bus make sure to stand at least 3 steps away from the curb. Don't approach the bus until it comes to a complete stop, the door opens, and the bus driver signals you to come in. 3. Use the hand rails when going in and out of the bus. 4. Children should be reminded to sit down facing forward on their bottoms with their arms and legs inside of the bus. They should remain seated until the bus comes to a complete stop and it's their turn to get off the bus. 5. There should be no more than 3 kids per seat on the bus. 6. They are not to get out of their seats, if they have any questions while on the bus, they should raise their hand to get the attention of the bus driver. 7. Crossing the street should be done in front of the bus where the bus driver can communicate with the child. Children shouldn't run, but walk and make sure that they pay attention to the bus driver while crossing so that they may follow the driver's instructions. 8. Children should be taught to look both ways to make sure the it's safe to cross. Sending your children off to school on their own can be a bit scary. We hope that these tips will help ease your worries. Good luck this school year! 🚸 Click here for some fun Bus Safety Coloring print outs!